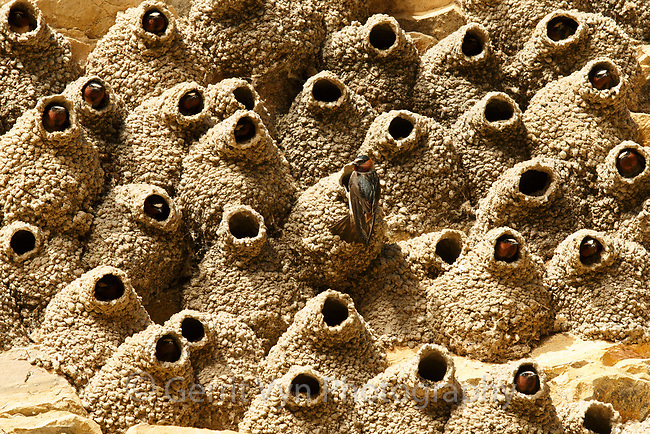 Cliff Swallow (Petrochelidon pyrrhonota) at nest. Sublette County, Wyoming. June.